calculations, and resources; quality assurance; automation; and spectrophotometry will help students transition to the clinical laboratory work environment. 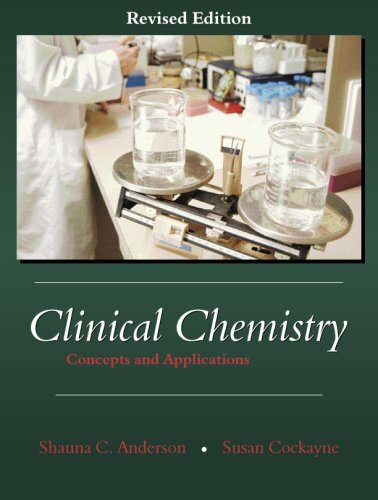 The reader-friendly design provides an inclusive discussion of the principles of procedures, as well as parallels the curriculum published by the American Society of Clinical Laboratory Scientists. A wealth of pedagogical features, including chapter outlines, end-of-chapter reviews, and concept application, make this a complete core text.